Whether you're a homeowner or a renter, it's important for your house to feel like a home. Depending on the size of your home, it may feel like it would be difficult to transform a standard home into an oasis where people love to relax. Fortunately, with special attention in a few areas, you can easily create a design foundation and add more design elements as you go along. Start with these ideas for customizing your home. Walls. Wall treatments make a major impact in any living space. 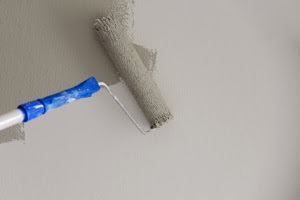 While the standard eggshell white paint may be acceptable in some areas, it can quickly become drab. To add an element of sophistication, consider painting your walls in muted neutral colors such as gray or gold. If you'd like to try a bold option, consider cobalt blues and yellows. If you'd like to ease into the bolder choices, try your hand at creating a statement wall in a bold color and leave the rest of the walls a neutral color. Another way to jazz up the walls involves using artwork. You can easily blow up pictures of the family, random art pieces or graphic fonts and place them in a giant frame. If you'd like to include multiple frames on a wall, use this as a time to implement a gallery wall concept. Windows. Windows take up a large amount of space in a room. They're also the only ways to get natural light into a room. In this case, you want your window treatments to be easily transformed. They need to be easily maneuvered to allow natural light in when it's desired. They should also be able to shut the light out. Next Day Blinds are perfect because they can easily allow light in. They're also easy to close. They're available in different styles and can be tailored to your taste. Paneled curtains are classic as well. Choose a color that will complement the color scheme of the room. To add more pizzazz, consider purchasing a fun window decal to stick on the windows. It can be patterned or have a sweet message on it. Window decals are great because they allow you to maintain privacy yet still allow light to come into the room. Accessories. In this context, accessories are decorative elements that will add depth and interest to a room. Accessories basically make a room more cozy and inviting. Area rugs are first on the list. Area rugs have the power to tie a room together. Make sure to get a rug that's big enough to fill its assigned space. Whether it's a Persian rug or a simple polka dot rug, make sure its patterns work well to create visual cohesion. Decorative pillows and lampshades are lovely ways to add pops of color to a room. Whether it's a coffee table, dining room table or a side table, add a nice centerpiece or accent piece. Centerpieces like floral arrangements and accent pieces like mini-waterfall fountains are great examples of features to add. If you start with these elements for your design foundation, it'll be easy to build from there. Take it one step at a time and don't be afraid to look at shelter blogs and magazines for design inspiration and reputable companies such as Next Day Blinds.